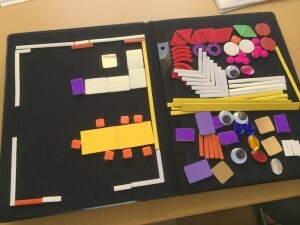 We are a groundbreaking NPO working for disruptive innovation in the field of tools and education for the blind. 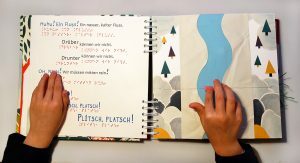 Anderes Sehen (which means „a different way of seeing“), was founded in April 2011 by parents of a blind child – Ellen Schweizer and Steffen Zimmermann. 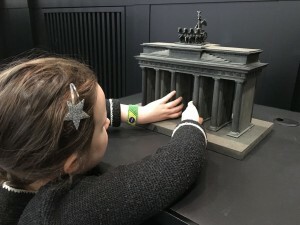 Anderes Sehen was the first organization in Germany specialized on the support of blind children in the age from birth to 10. We claim that it is absolutely necessary to give already those little ones at least the same support as sighted children do receive. 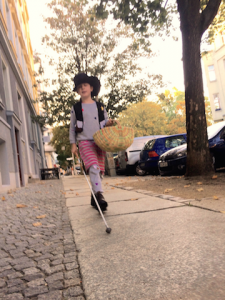 Actually blind children in Germany did not have a chance to learn to walk and navigate fearless by themselves due to the fact that they did not get white canes when learning to walk. Not surprisingly there were no white canes for kids available. 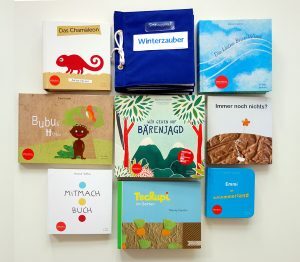 Also there were no German books available for blind toddlers, preschoolers or reading beginners. 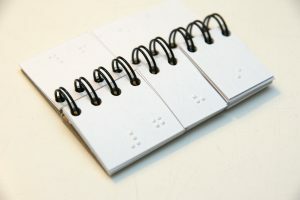 No books with tactile images and Braille text in opposite to tens of thousands for sighted children. Also there was no knowledge or training of flash sonar (we call it Klicksonar) to the blind, which is a proven and well known technique to orientate and navigate through unknown terrain. It works by tongue clicking and „seeing“ the echo-image. 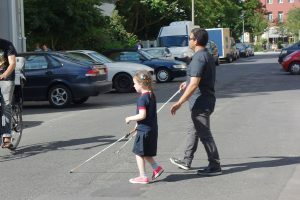 Further there is a lack of trust in the possibilities of blind children which causes a restricted mobility and a low self-confidence in their later life. 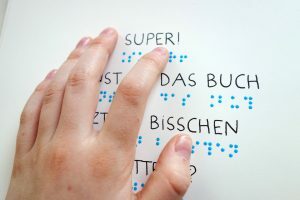 Anderes Sehen helps to achieve that blind people can live a life without limitations from outside. We enable blind children to get early education and early self driven mobility. 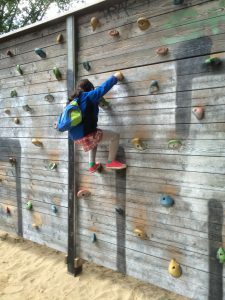 We convey a no limits attitude for the children and their parents. With our view on blindness and blind people, with our work and products, with our conviction and passion, we will achieve a higher level of self-confidence and a higher quality of life for blind individuals. 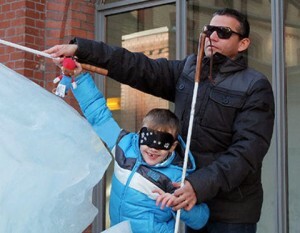 Societies‘ view on blind people will change through the normality of proud presence of blind people. 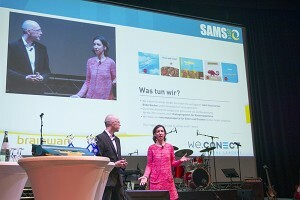 Holding a speech at SAMS Award. 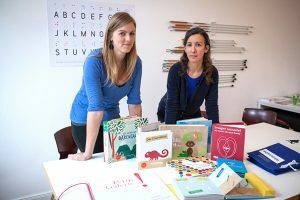 Ellen Schweizer and Steffen Zimmermann about their work. 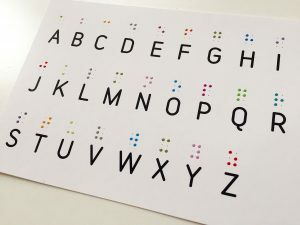 Our registered decorated charity as we as designers work hard for the enhancement of products, mobility and education of blind and visually impaired people, especially children, as well as being a political voice for them. 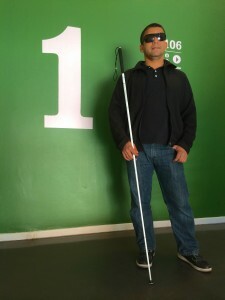 In order to achieve those goals we invented the first high end children’s white cane and gave it to blind children for free. Meanwhile it is listed by the health insurances as a proven tool so they pay for it. 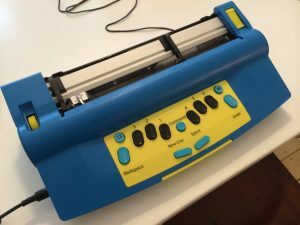 We produced already 10 wonderful tactile illustrated books for blind and sighted children and sell them – thanks to donations – for only a quarter of the production costs. These books set a new standard worldwide. 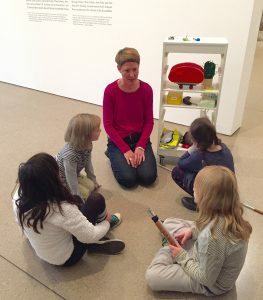 We organize and give trainings for blind children, parents, teachers and even professional mobility trainers for a low rate or even for free. 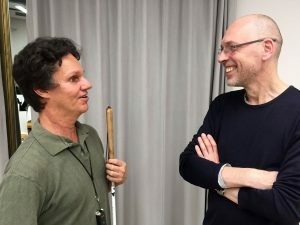 We are well known in Germany, Austria and Switzerland for promoting and teaching an higher level of echolocation which we call Klicksonar (flash sonar) as a powerful means of orientation in addition to the white cane. We send out information, do political work, opinion making and lobbying. 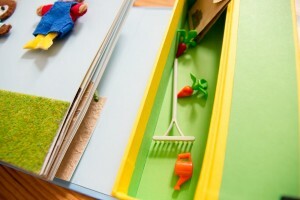 And we provide a website with a huge knowledge base for families, organizations and teachers. Anderes Sehen e.V. is a non profit organization approved for the purpose »Facilitation of the help for the handicapped (§ 52 para. 2 Line 1 Nr. (n) 10 AO)« and is authorized to hand out donation confirmations as requested by § 50 para. 1 EStDV. Schon mit 3 Jahren kann viel mitgenommen werden, aber vor allem durch die Eltern, die das Gelernte weiter vermitteln. Es gibt viel zu lernen in der Küche. 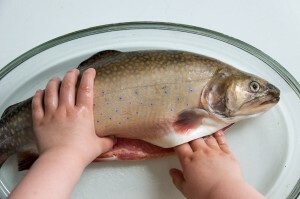 Eine Kinderhand untersucht genüsslich eine Forelle. Auch blinde Kinder klettern gern. 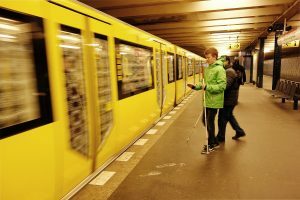 Mobiliäts- und Orientierungstraining in der U-Bahnstation. Juan Ruiz zeigt seinem Schüler, wie man sicher eine geöffnete Zugtür findet. Klicksonar-Trainer Juan Ruiz, einer der drei besten Echoorter der Welt. 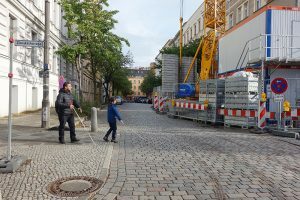 Er unterrichtet Perceptual Mobility für Anderes Sehen e.V. Emmi im Schlummerland. Ein taktil illustriertes Kinderbuch. 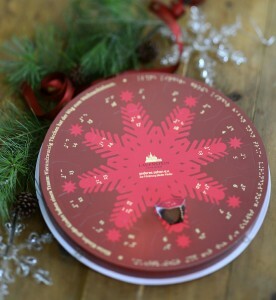 Adventskalender: Die Türchen sind mit Schwarzschrift und Punktschrift beschriftet. 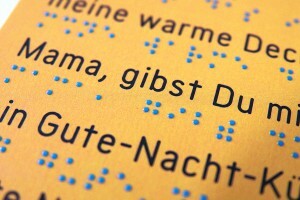 Der Advents-Vers ist auch in Schwarz- und Punktschrift und die weihnachtliche Grafik ist auch taktil erfahrbar. 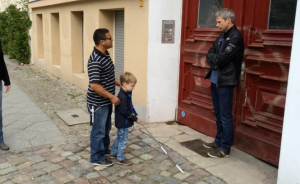 Der blinde Perceptual Mobility Trainer Juan Ruiz beim Training mit einem Kind. Ganz toll, was Sie da machen. Wir leben in China. Unsere chinesischen Freunde haben einen blinden Jungen. Er ist 3 Jahre alt. 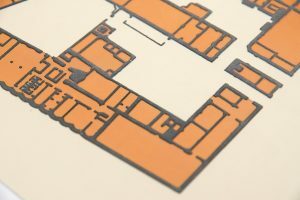 Wie können wir ihnen am besten helfen? Vielen Dank. Wir schreiben Ihnen eine persönliche Mail. Beste Grüße!